Lakes and Waterways Action Group host Mike Joy who will present ‘Freshwater policy failures; a freshwater ecologist’s view’ on October 18th. 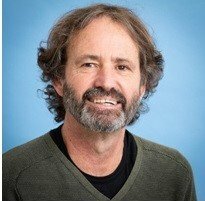 Mike has recently joined Victoria University’s Institute for Governance and Policy Studies (IGPS) after serving many years as Senior Lecturer in Ecology and Environmental Science at Massey University. After seeing first-hand the decline in freshwater health, Mike became an outspoken advocate for environmental protection. His work at the interface of science and policy aims at strengthening connections between science, policy and real outcomes to address the multiple environmental issues facing New Zealand. ‘Freshwater policies developed over at least the last ten years in New Zealand have moved further from their scientific underpinnings with each new iteration,’ says Mike. ‘I will demonstrate this departure using examples from the National Policy Statement for Freshwater Management’. As well as receiving a number of awards, Mike has published numerous papers in scientific journals, many international, as well as articles and op-eds for newspapers and magazines. He has authored reports for regional councils and ministry for the environment, and has developed a number of bioassessment tools and associated software used by many North Island regional councils. In this presentation he will show how many of the attributes measured under the title of ‘water-quality’ in New Zealand are not fit for purpose, do not give logical assessments and are out of date given changes in technology. All are welcome to attend 5.30 pm at Lake Taupō Rotary Club, 12 Story Place. The alternative is the Taupo Fishery Advisory Committee meeting is in Turangi at the same date and time. The key matter for consideration is the Conservation (Indigenous Freshwater Fish) Amendment Bill. Time is running out to submit on protecting trout! The campaign to protect your interests against controversial provisions in the Conservation (Indigenous Freshwater Fish) Amendment Bill is doing well thanks to you telling politicians of your opposition to the legislation as it presently stands. Rest assured, politicians are noticing the volume of emails they are receiving on this issue, so keep it up. But with time running out, it is time to step up your efforts, and make sure your fishing mates are also doing their bit to ensure trout and trout fishing are protected from the Conservation (Indigenous Freshwater Fish) Amendment Bill. The Bill represents a serious threat to trout. It could allow for the removal of trout and salmon from waterways, even if they are recognised and well regarded trout fisheries. It could make it easier for the sale of trout and the sale of trout fishing rights in treaty settlements. It reduces Fish & Game’s right to be consulted as managers of trout and other sports fish. It reduces Fish & Game’s ability to protect your interests as a licence holder and angler. For those of you who want to know more about the extent of the threat to trout in the Conservation (Indigenous Freshwater Fish) Amendment Bill, have a look at the legal advice provided to Fish & Game by Sir Geoffrey Palmer QC warning about the Bill’s contents. You can read that legal advice here. The most important things to do now are to continue lobbying politicians and make a submission to the Parliamentary Select Committee considering the Amendment Bill. There is also a petition you can sign against the Bill on Parliament’s website. The Select Committee is your chance to get meaningful changes made to the Bill. Rest assured, Fish & Game will be making detailed written and oral submissions to the Select Committee. But members of the Select Committee also need to hear from you. As anglers, you need to tell them of your opposition to the Bill’s clauses 5, 6 and 17. Details of just what those clauses mean are here. Tell them how much you value trout fishing, the recreational and health benefits which come from trout angling and the long cultural, traditional and historic connections New Zealanders have with trout and salmon. And tell them of your family’s connection to trout and angling and how the knowledge and skills you now use have been passed down generation to generation. You only have a fortnight left to tell the Select Committee you want change. All submissions on the Bill must be in by Thursday 25 October. The process is straight forward and you can make your submission on-line at this link. Or you can send a written submission – you will need to include two copies and a covering letter. Details are here. And for advice on how to actually write a submission and what to say, have a look here. With a fortnight to go before submissions close, anglers also need to continue lobbying their MPs. Angling clubs in particular should be representing their members’ interests by making appointments to see their local MP to tell them they oppose the Bill’s anti-trout provisions. Remember your area may have both electorate and list MPs, so make sure you visit them all in their electorate offices. For details on how to contact your MP, along with more information on the Bill and advice on how to fight it, visit the Fish & Game website. And don’t forget to sign the petition registering your opposition to the Bill and asking for it to be changed. Go here to sign the petition. Fish and Game is continuing to work on your behalf talking to politicians and officials to try and get the Bill changed. But individual anglers also need to step up and do their bit. ACT NOW – THE FUTURE OF TROUT FISHING DEPENDS ON YOU! The Advocates have made a submission adopting the Memorandum to Fish and Game by Sir Geoffrey Plmer QC and Elana Geddes. The Memorandum is posted in our Library, Key Documents. Fishing Report: The fishing has been very good this scholl holidays and continues. It was predicted that the runs would be late this year and they are. Lots of sign of spawning in the shallows. Still many good fisg running that haven’t spawned. Membership: Have you paid your subscription for this year? Considering being a member. Join from our website: Membership. You will be most welcome. Are you willing to contribute by joining the committee? We seek new blood on the committee.